A Slice of Green In The City. | In Florence. A Firenze. A Slice of Green In The City. 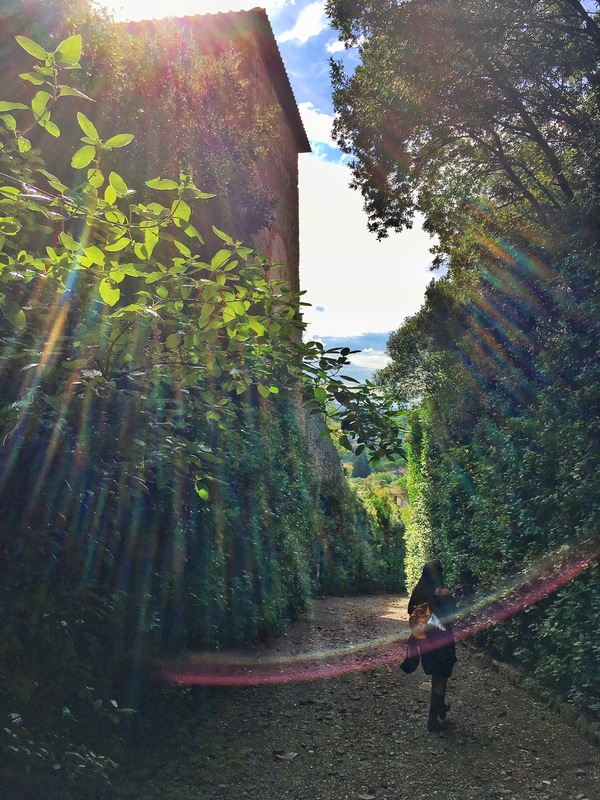 Literally around the corner from my flat, is possibly one of the coolest slices of green out there: The Boboli Gardens. Despite the two-minute walk, it still took me over a week to actually visit them, but my sloth-like nature may have been fortuitous on this occasion, as I managed to pick a two-hour slot of sun, on a day otherwise filled with torrential rain. 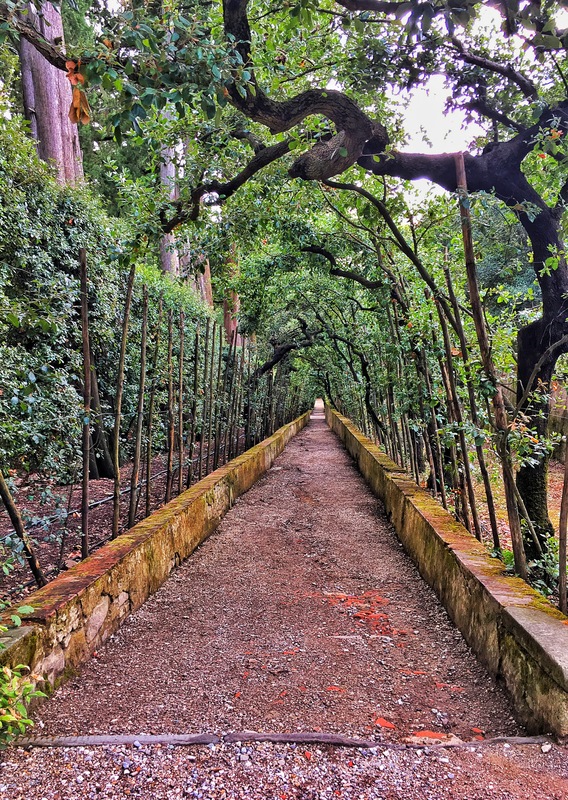 The gardens lie in the grounds of Palazzo Pitti, one of the many homes of the Medici family. ‘Home’ seems such a funny word to use in settings like this, as you could literally live in the Palazzo with your whole extended family, but never bump into each other. It is ginormous. Palatial, even. On the other hand, the building’s green surroundings feel rather intimate. You follow winding paths, that trace hidden routes under a canopy of green. Almost everything is green. This may sound like a stupid statement to make about a garden, but what I’m trying to explain is that there aren’t huge varieties of colourful flowers and blooming plants. It’s a very simple design, filled with interesting spaces. More importantly it’s a peaceful haven, away from the bustling city. Take a book, relax, and get lost in your thoughts. One downside is the cost. These gardens aren’t free unfortunately (€7 full price, €3.50 reduced ticket), but the price does include access to parts of the palace, including the Museo degli Argenti, Costume Gallery and Porcelain museum. Be warned, there are multiple ticket combinations for the palazzo and gardens, so be careful which you pick. Seeing as I’m living so near, I decided to buy a ‘Friends of the Uffizi’ card (Amici degli Uffizi), which for €40 gives me unlimited access to the Pitti Palace, Boboli Gardens, and the Uffizi, for one year. In the first five days of owning this, I’ve earned back the cost of the card by visiting both places a couple of times, so I’d highly recommend it to anyone staying long enough. Looks amazing! Loving the blog and looking forward to the time I can go.